Tattoos represent many things to many people and regardless of why people get tattooed, there always seems to be a story behind each and every tattoo. 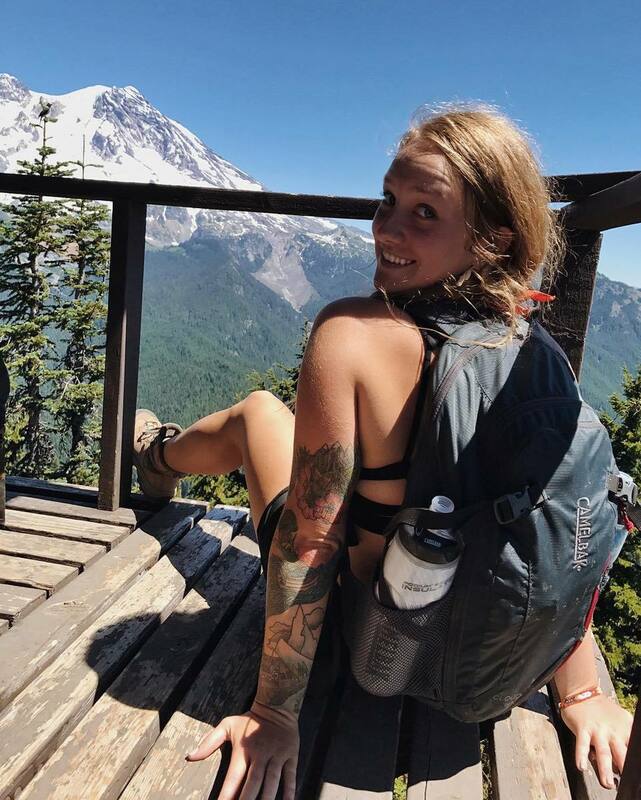 More and more women are taking the plunge to get inked and we wanted to reach out to some outdoor women to find out more about their tattoos and outdoor lifestyles. 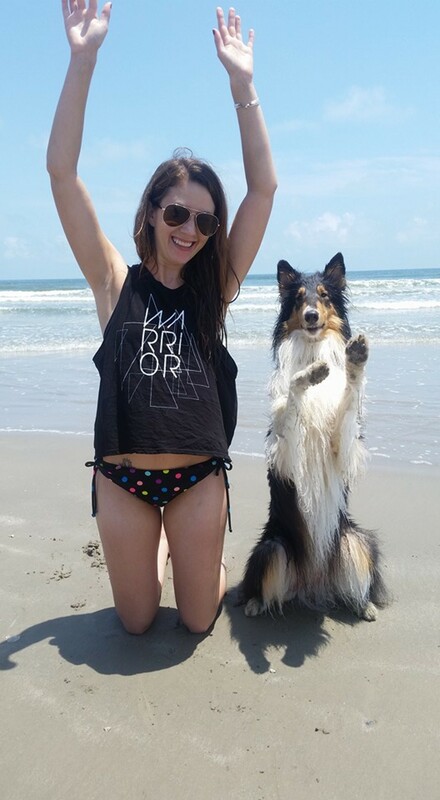 The WON: What’s your favorite thing to do outdoors? My favorite thing to do outdoors is to learn more about the area that I hunt. It’s interesting to see the new trails made every year and how the animals transition from summer to fall. The WON: What made you decide to get tattooed? I have always wanted to get a tattoo and I always knew what I would get. One year my mom took me for my birthday and we both got tattooed. The WON: What’s the story behind one of your favorite tattoos? My tattoo is of my absolute favorite place in this world, Mt. Nebo. It is placed above my heart because that mountain is where a piece of my heart lives and where I spend all of my free time. The WON: Do you have any outdoor-related goals that you’re striving for this year? My goals this year for hunting are to work hard and put a lot of time behind the glass. I have a muzzleloader tag, so my blending skills need to be up to par this year! Being outdoors makes my soul happy, with no distractions from the real world you can let your thoughts wander and your senses embrace the world and life around it. Hunting, fishing, hiking, camping and homesteading are among my favorite activities as well as incorporating any type of fitness. The air is fresher and the scenery is constantly changing with the outdoors is unpredictable. Tattoos to me mark timelines in my life; the very first tattoo I signed up for was a very large piece on my back that signified the diagnosis and struggles of Graves Disease and from there on in it became a habit and now have a piece of artwork to represent different times, and people in my life with the most recent one being a beautiful watercolor rose on my inner forearm with the reading ‘everything happens for a reason’ – to signify the life of my mom and best friend. Each tattoo I have has a unique story; I do have a nice piece on my back that twists all my hobbies into one, but incorporating the life of my aunt who passed away from complications due to cancer where I intertwined her 2 tattoos into 1 (a butterfly and a pink ribbon) surrounded by broadheads, bullets, bear paws and flowers where it joins together into the portrait of myself (I know but that is a funny story). I had asked my artist to come up with something that represents my love for everything and he came up with me in jean shorts, cowboy boots, with my 30.06, crazy red hair under a football helmet standing beside my motorcycle. 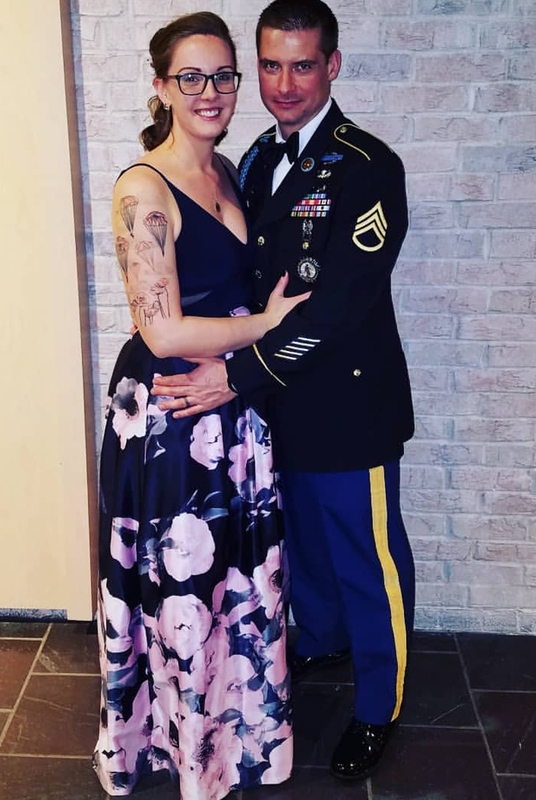 So as you can see tattoos are not just art to me, but stories, and I have helped design many of them including a very large piece that wanders from my armpit down my leg and includes digital camo and peonies. The outdoors has become a big part of my daily life since I moved to acreage in Texas. 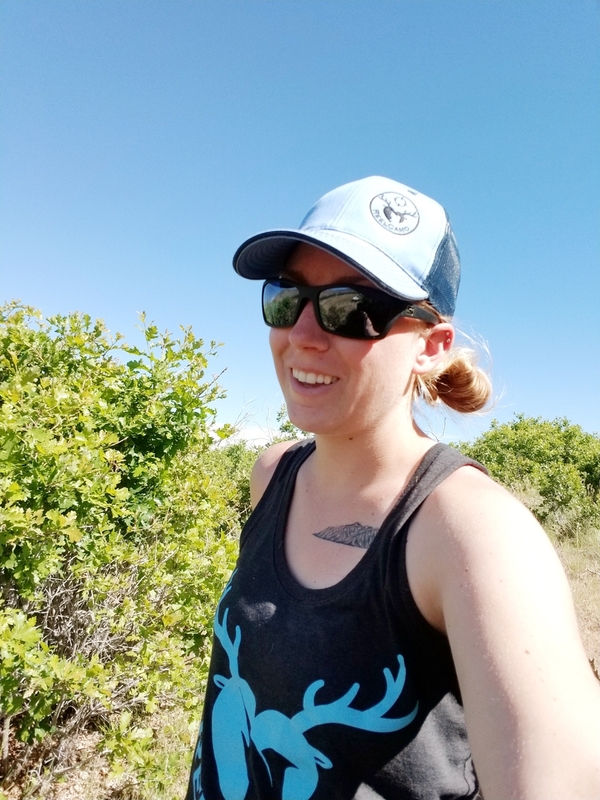 From day-to-day chores on the farm, gardening, training with my collie or going hiking, hunting, camping in another location … I can’t pinpoint my favorite thing to do outdoors because it is where the majority of what I enjoy doing takes place. A tattoo is a commitment and the way I see it, a reminder, to live your life to the fullest. I’ve never questioned getting a tattoo and I have never regretted it either. My first tattoo may not look like much. It is a small lotus flower drawn by myself. I used to draw it everywhere I could in high school – my notebook, my journal, my homework, etc. A lotus flower is one of the most beautiful flowers in the world. It rises from the muck and the mud and blossoms into this beautiful flower. This is symbolic of how I felt when I met my now husband, Adam. Before him I felt like I was trudging through the muck to figure out who I was. I often felt alone or like I had to conform to the lifestyle and thoughts of the people and community I grew up in. Around Adam I could be myself. 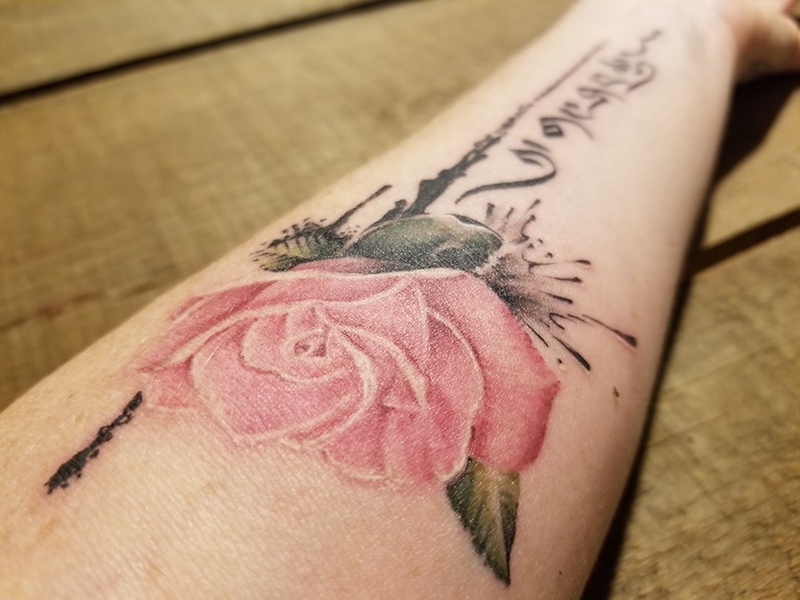 And even now, 14 years after getting the tattoo, I feel it is a constant reminder and representative of the journey to live the life I want to live, and of who I am today. This will be my 4th year guiding for the Texas Youth Hunting Program, but my first year as a huntmaster. I hope to continue to give back to the hunting heritage community that has given me so much. In addition, I hope to take more young adults hunting this year. This is an age bracket that often gets left out when it comes to introducing to the sustainable and ethical ways of hunting. I used to be one of those people. I hope to impact more this year! I love hiking more than anything. It’s so fun to see how far my body can go and how strong I am, despite years of telling myself I wasn’t enough. I’m strong enough to take on freelancing during the week and summit mountains on my off days. I’ve always thought tattoos were such a cool way to express your own story. My tattoos share my story and each one reminds me of the stage of life I was in when I got the done. I have a coffee mug with a pumpkin on it and the word “punkin” underneath it. My 3 sisters and I all have different “punkin” tattoos because that’s what our grandmother calls us. She even has a family tree called “Grandma’s Punkin Patch.” She is so special to each of us and it’s an honor to be one of her punkins. The WON: Do you have any outdoor-related goals you’re striving for this year? I try to get out every weekend. It’s important to me to reset and disconnect from the city and social media since it’s what I do for my job and for fun during the week. I try to make the outdoor a part of my lifestyle and don’t often make goals beyond getting out there however I can! skills, and get better as a shooter, a tactician, and to refine my mindset of self-defense. people. Each of my tattoos have had a lot of thought and meaning behind them. matching ring tattoo. We’ve known each other for 14 years and he’s my lobster. For the rest of 2018, I want to continue to get better as a defensive shooter and instructor. defense and normalize the fear that can surrounds firearms, children, and self-defense. My favorite outdoor activity is definitely archery season in Colorado. It’s the beginning of fall, which rolls right into winter. Skiing and archery are pretty much my favorite outdoor sports. I decided to get my first tattoo when I was 16 and man it’s awful and definitely not what I pictured in my mind, but the artist took my horrible rough draft and slapped it on! Either way, it didn’t discourage me from getting more tattoos to express myself and love for art on my body. I love snow and winter is my favorite season. My favorite tattoo is a snowflake on the palm of my left hand. When people ask why I chose to get a tattoo there I tell them, “It’s like catching a snowflake”. And it was by far the most painful. Most people that see my palm tattoo are shocked to hear that I have had it for 8 years. It has held up good and hasn’t faded. This year my main goal is to get my 14-year-old son his first bull elk during first rifle season in Colorado. And hopefully follow up with a 4th season rifle buck for him. Do you know that The WON features outdoor-inspired tattoos, ink and body art on its Pinterest platform. Check it out here.